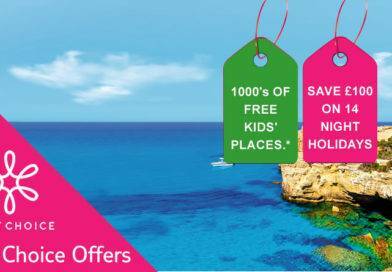 We all love a bargain, but we don’t enjoy the hunt to find these free child places that are scattered around holiday websites. Well now TUI Formerly Thomson Holidays and First Choice have taken away the hassle of finding a free child place. This is done by using the free child place finder within the websites. 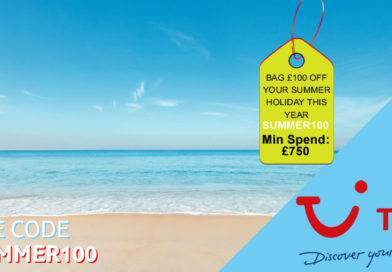 Free Child Places for summer 2019 and Summer 2020 Holidays are available now at selected resorts with TUI – formerly Thomson Holidays and First Choice from TUI. Be sure to book them quickly though as they tend to go very fast. 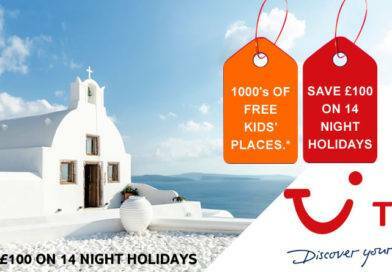 What’s Included in a free child place with TUI and First Choice for summer 2019 and Summer 2020? Flight – You’ll get a standard flight ticket included with your free child place. All you have to worry about is keeping your little one entertained in the air. Hotel – One child per two full-paying adults can stay for free in each selected hotel room, apartment or villa. And, of course, they’ll get full use of the accommodation’s facilities. Food and Drink – There’s no need to save extra for food and drink, because your free child place includes whichever board basis your two full-paying adults have booked, so if you have booked half board, your child stays half board, and if you have booked all inclusive for the 2 adults then the child stays all inclusive aswell. Transfers – Just like all our holidays, your free child place includes transfers from the airport to your accommodation, and back again when it’s time to come home. 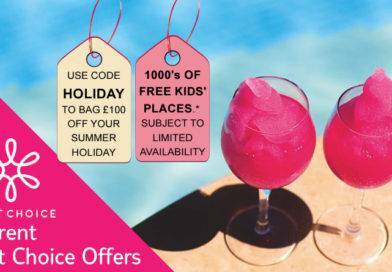 Free Child Places – Free kids offer applies to new bookings only, on selected summer 2019 and Summer 2020 holidays, subject to limited availability. Only 1 free kids place is available in each selected hotel room or selected apartment type or villa with 2 full paying adults, to get 2 free child’s places there needs to be a minimum of 4 adults staying in the property.